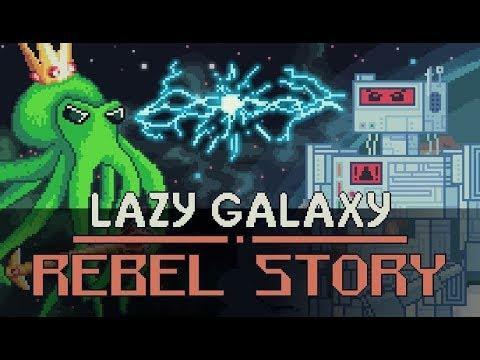 Coldwild Games have today released their squad-based shoot 'em up Lazy Galaxy: Rebel Story and it's really quite good. I've been impressed with Coldwild Games, after giving them feedback during my early testing before release I came up against an issue with Unity keyboard input and they were very quick to resolve it. Definitely a developer worth supporting. It also works perfectly with the Steam Controller and you know what, it's damn fun too! The addition of multiple ships, giving you the ability to move them behind you or to the side at the tap of a button, is certainly interesting. Keep them to the side to take out more enemies easily, keep them behind you to focus fire on bigger enemies. It's awesome and it's not just a small gimmick, because it works so well. You can find it on Steam and it's 15% off until August 29th.